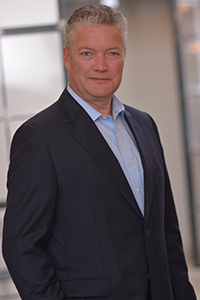 Adriaan Bouten is CEO of Digital Prism Advisors (dprism). dprism unlocks significant growth and revenue opportunities in the digital economy for established businesses. There is a real opportunity for established companies to capture revenue and market share through a smart shift in strategic focus, enabled through the right application of technology. 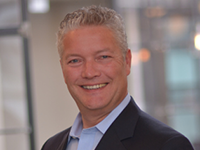 Previously Adriaan was Senior Vice President and CIO (Chief Digital Officer) for McGraw Hill Financial’s (NYSE:MHFI) $1B publishing division where he led initiatives that promote brands, drive revenue growth, and enhance productivity. He was responsible for digital product strategy and implementation for J.D. Power & Associates, McGraw-Hill Construction, Platts, Business Week, Broadcast Group and Aviation Week. Bouten also led the division Six Sigma group. Adriaan was part of the executive team of USATODAY.com as VP Technology & Business Development, implementing common platforms and solutions for product development. Prior to joining USATODAY, he held senior business and information technology positions with Hanley Wood LLC, Congressional Quarterly, and Bon Secours Health System Inc. He began his career with Ernst & Young/Cap Gemini. This Web blog reflects my personal opinions and creations, and not those of my current or former employers.